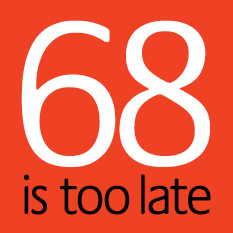 Sussex LRC members will move support for the broad-based trade union “68 is too late” campaign at Brighton, Hove & District Labour Party’s next meeting, starting 10.30am this Saturday, 21 July, at South Portslade Community Centre, Church Road, Portslade BN41 1LB http://www.cap-s.org.uk/Contact.htm . “This CLP notes that the state pension age is due to rise from 65 to 66 from 2018, to 67 from 2026 and to 68 from 2044 – and thereafter rise with increases in average life expectancy. We note that life expectancy varies depending on social class – with ONS statistics showing that the poorest are already three times more likely to die before 65 than the wealthiest – and, of those who reach 65, those who worked in manual professions die 30% earlier than ‘professionals’. For example, men in Kensington & Chelsea live 14 years longer on average than men in Glasgow and over 8 years longer than men in Newham. We further note that the wealthier you are the earlier you can afford to retire. Therefore wealthier people will retire earlier and live longer, while poorer people will retire later and die sooner. In contrast to the situation in the UK, we further note that the state pension age in France is 62 and that the new socialist French President intends to legislate to reduce it to 60 for some workers.